CKF Systems has been supplying conveyor systems since it was founded in 1988, initially to the food industry, where they were manufactured from stainless steel, but now to a wide range of industries including pharmaceutical and automotive. Products conveyed range from raw products through process conveying, cooling conveyors, to the wrapping process, carton conveying, case and platen conveyor systems, and pallet conveyors. 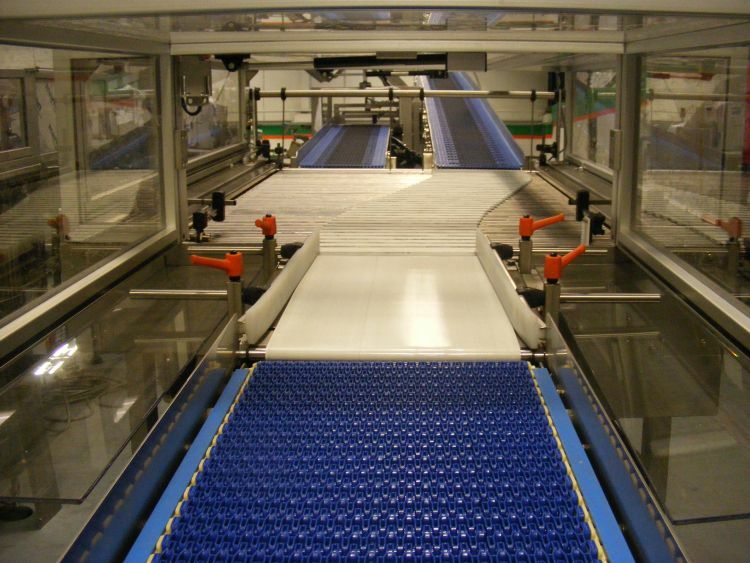 Many of these conveyor systems utilise standard conveyor modules of either roller, belt, chain or slat however in the food or process areas the conveyors are much more bespoke and designed in house by our dedicated team. We are renowned for our design and manufacturing capability in providing the right conveyor and handling solution. 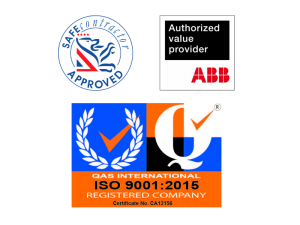 We consider all on site needs and have built up a reputation with many blue chip companies for our quality service and valued customer support. 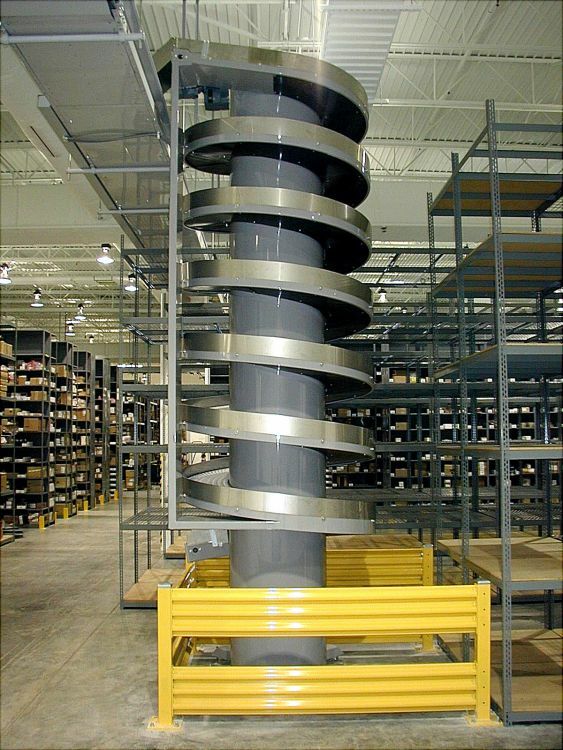 Spiral conveyors have formed part of many of our conveyor solutions over the past 30 years. 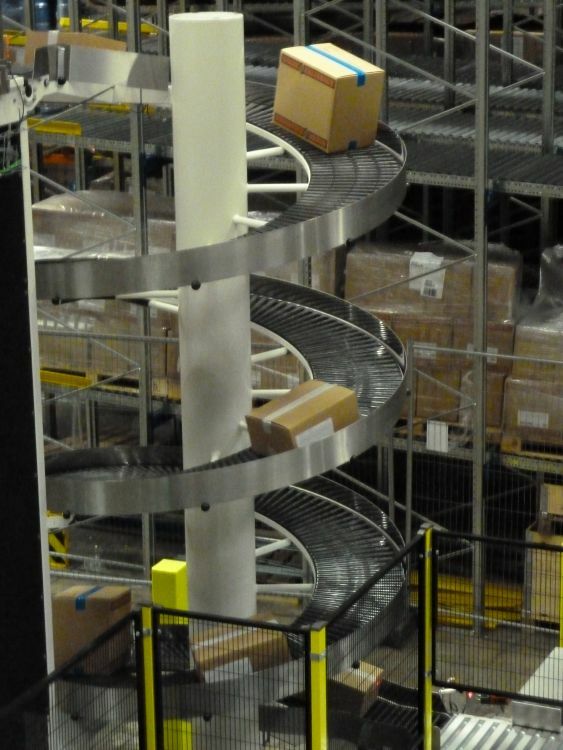 Often these are used as simple conveyors to elevate or lower products in a confined footprint compared with other solutions like inclined conveyors or vertical elevators, although we have also used spirals in numerous systems for accumulating or buffering of product. Robotic Spiral conveyors offer a simple compact accumulation system and can be designed, if required, to provide a FIFO solution. The spiral accumulation provides contactless accumulation of products, meaning that even complex or delicate products can be buffered within these solutions. Some of these solutions have also included spirals with multiple chains, all with separate drive arrangements giving a very flexible yet compact accumulation system. These solutions can be manufactured from either stainless steel or mild steel depending on the installation environment and would be designed to suit each application at our facility in Gloucester, together with the control system to ensure the accumulation is maximised. CKF was recently appointed by one of the world’s most popular snack brands to improve the versatility of its production plant and increase line speeds. The project’s objective was to deliver its current eleven production lines, housed in two separate factories, into a centralised palletising system, capable of handling the full range of pallet types and stacking patterns. The handling of over 30 different products was a particular challenge as these included a wide variety of light weight, delicate product types, packed in an equally diverse range of cardboard outers, sleeves and trays. Further challenges related to case orientation, variable centres-of-gravity, overall stability and susceptibility to twisting and misalignment through the buffer zones. 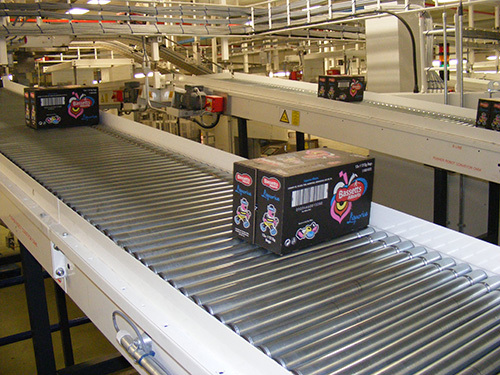 These handling considerations extended from the basic conveyoring through to the robot tooling and spiral wrapping of the pallets. Stacking patterns included over 40 options across the full range of product types and formats.